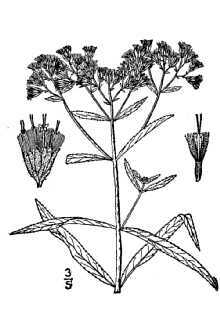 Botanical name: Eupatorium resinosum Torr. ex DC. 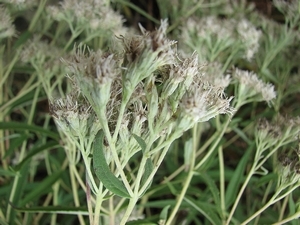 Flower: white, flat topped panicles; heads 1/8"-1/4", flowers 9-14. 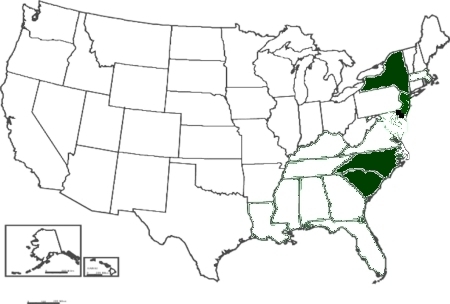 E. resinosum is profiled by the CPC National Collection of Endangered Plants and is currently found in New Jersey, then disjunct to the Carolinas. It is rare throughout its range. It has been extirpated from Delaware and New York. 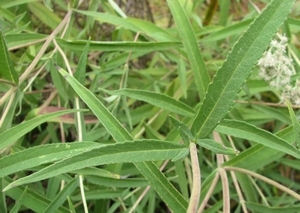 E. resinosum can be distinguished from E. perfoliatum by the leaves, which are clasping the base but not fused in resinosum, but broadly based and fused around the stem in perfoliatum. Leaves are also much narrower on resinosum.